The name of this beer, Zeer Bruine Oude, or ZBO, reflects its original inspiration from a type of Belgian beer called Oud Bruin–sometimes known as Flanders Brown. 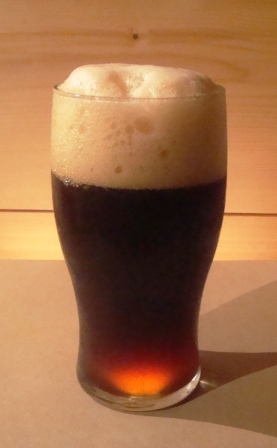 The Oud Bruin beers are typically a dark red-brown color, with medium body and very little bitterness. The “Oud” part (old) refers to the long aging these beers undergo, so that their yeast and bacteria content can develop an interesting sweet/sour flavor. 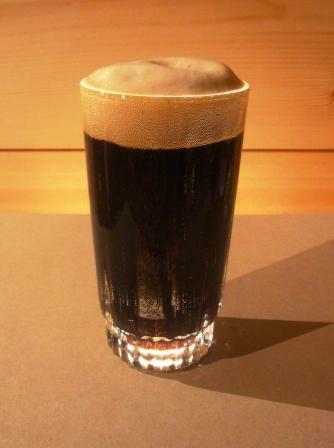 But because this beer draws inspiration also from Guinness Stout, is is a “Zeer” (very) Bruine Oude. It is an extremely dark red-brown color, with an aroma of dark fruits and malt. In the tradition of Guinness, about 3 percent of the wort was soured by incubating it with lactobacillus delbrueckii from White Labs. To this I added about 7ml of Bio-K+ L. Caesi L. Acidophilus blend in rice extract. About 700ml of wort was drawn off from the main batch, inoculated with the lacto bacteria, and incubated at 27 C (81 F) for 72 hours. This mildly sour wort was then pasteurized at 80 C (177 F) for 30 minutes and returned to the main batch, which was fermenting with White Labs Edinburgh Ale yeast. I felt it appropriate to use Scottish yeast because legend has it that Scotland provided the original Belgian yeast strains. A complex beer demands a complex grain bill, and this is one of the most, incorporating cara-crystal wheat, chocolate wheat, black prinz malt, cara-pils, cara-aroma, and a Belgian blend of cara-Munich, Special B, biscuit and honey malts. Breiss extra-light dry malt extract provided the base. About 225g of Brewcraft Belgian extra-dark aromatic candi sugar helped boost the original gravity to 22.5 degrees Plato (1.090). 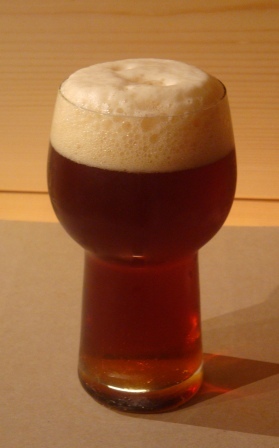 Typically, Oud Bruin beers have little to no hoppy character. This one does, though the hop additions are moderate in deference to the original style. About 12 HBU of bitterness are provided by a boiling addition of Warrior and Perle hops, and a flavor addition of German Hallertau. No aroma hops were added. 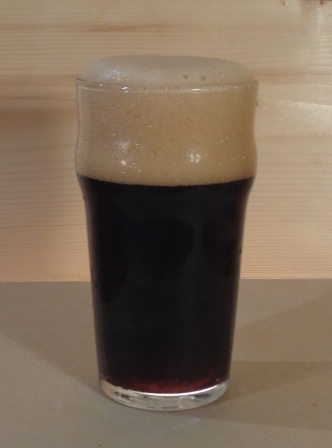 The result: a nicely sweet/sour beer reminiscent of Scottish Wee Heavy strong ale, Irish Stout and Belgian Oud. Mildly estery with flavors of malt and dark fruit, an intensely malty aroma, complex malt flavors and a bit more hop assertiveness than either the traditional Bruin or Heavy styles offer. The blend of caramelized wheat and barley malts provide an umami backbone that creates a nice, chewy, satisfying meal out of a pint of beer. A year after the original brew date, and with three months in the bottle, this beer has a long cellar life ahead of it, during which the flavors will continue to meld and blend. It should be an amazing winter quaff next year!